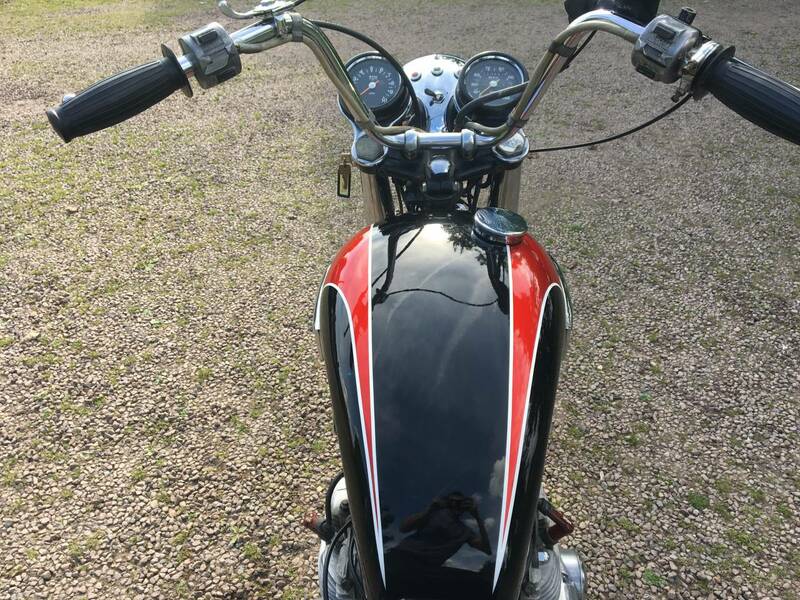 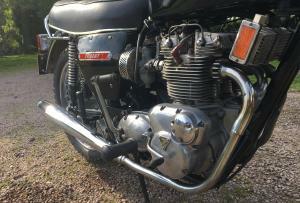 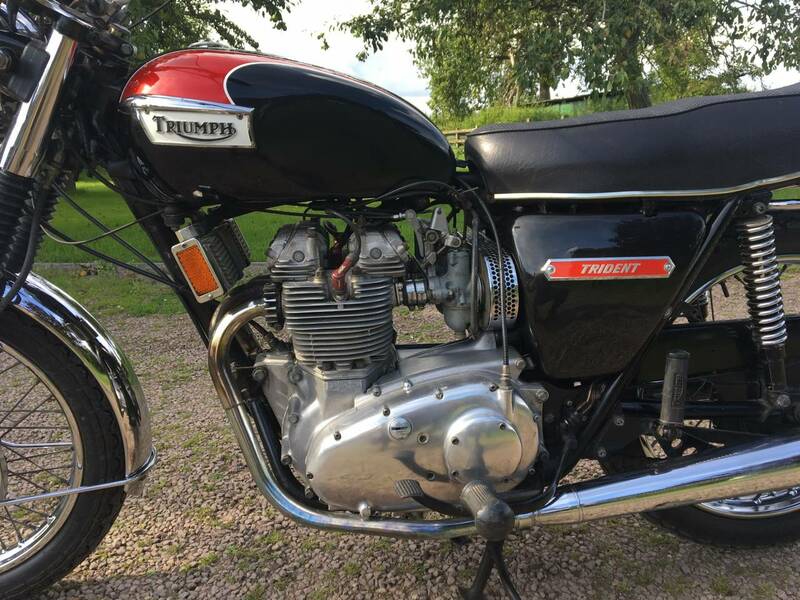 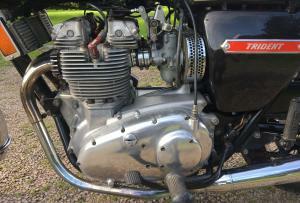 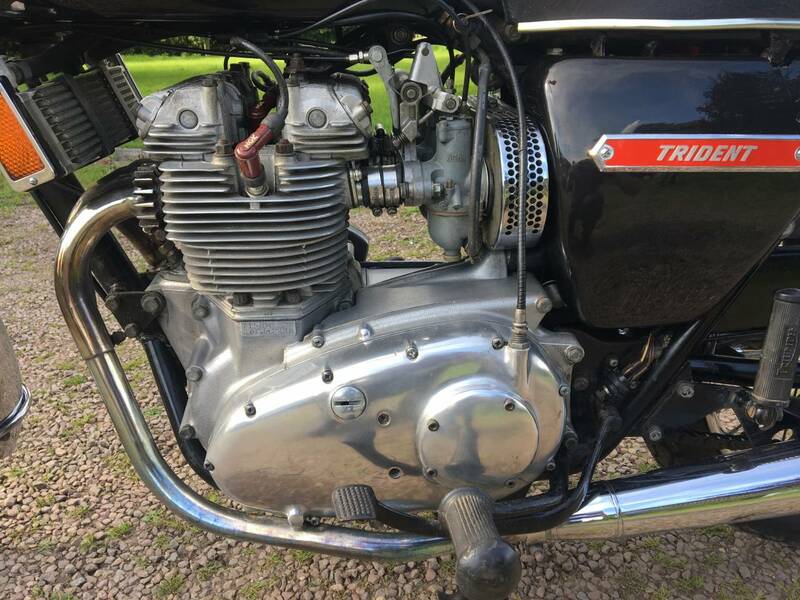 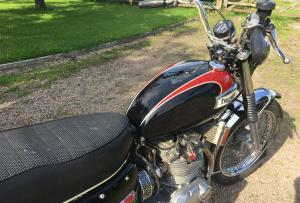 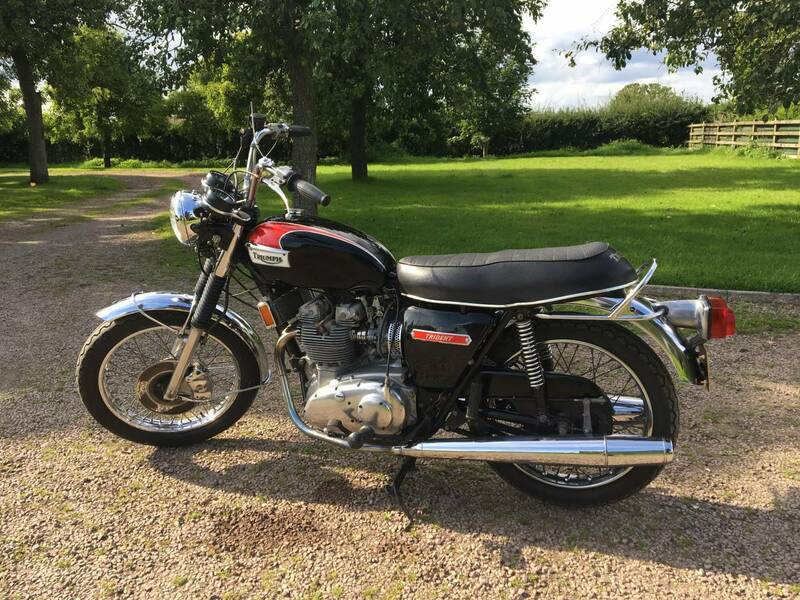 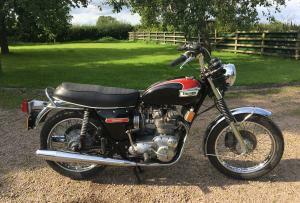 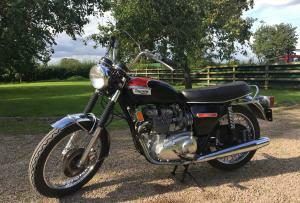 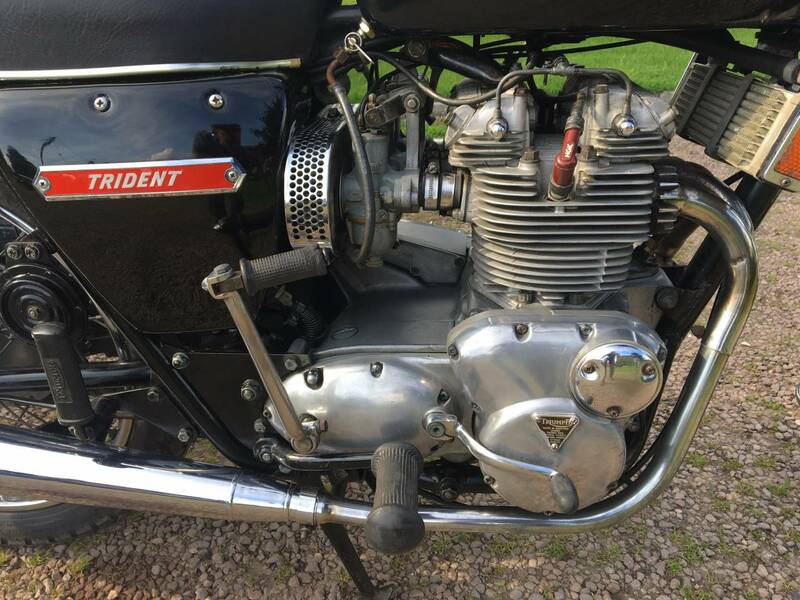 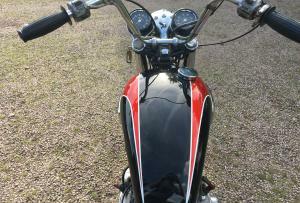 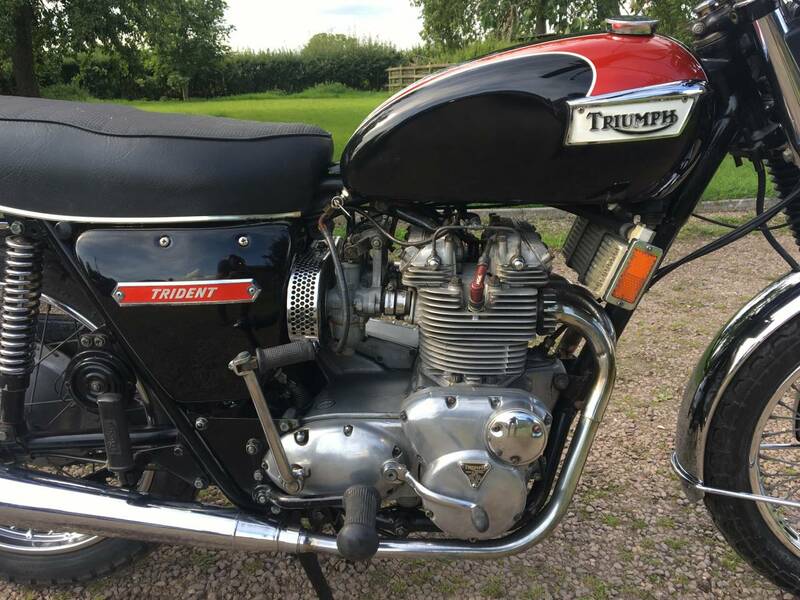 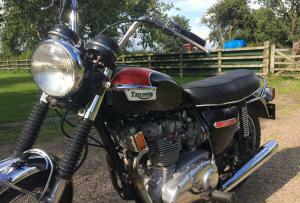 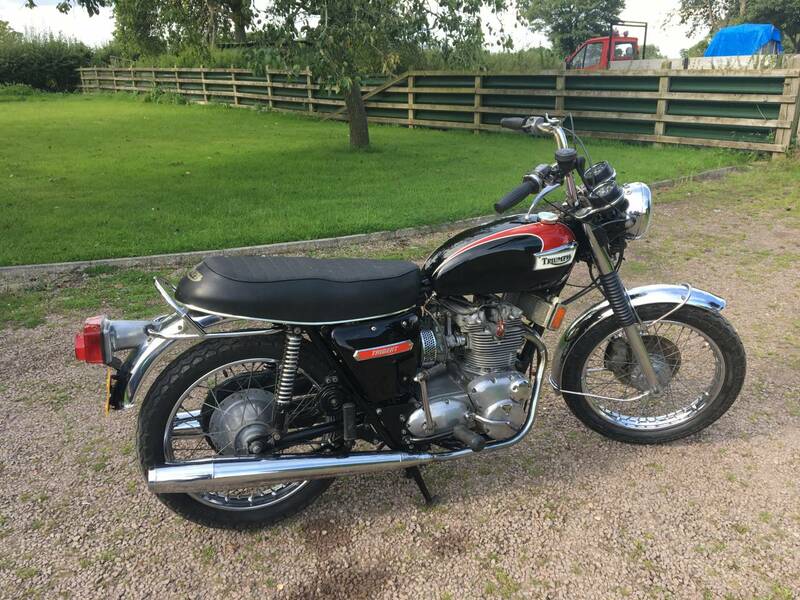 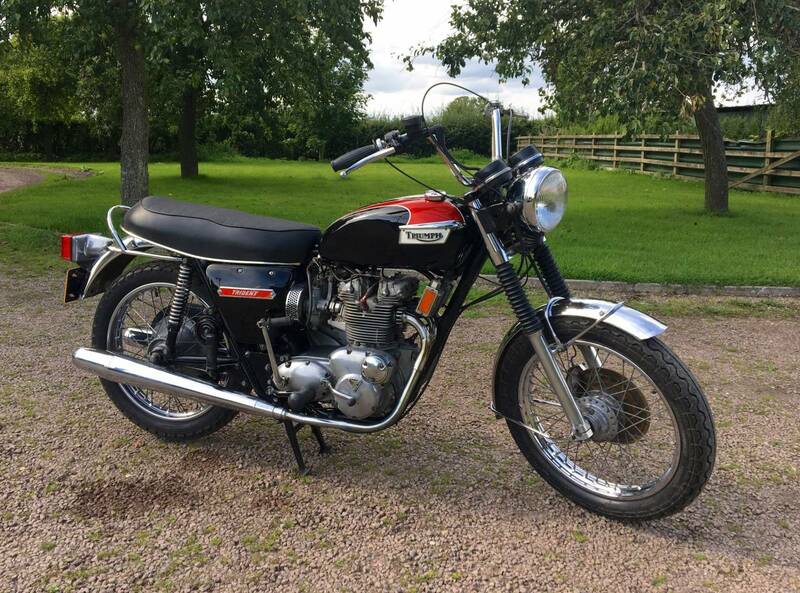 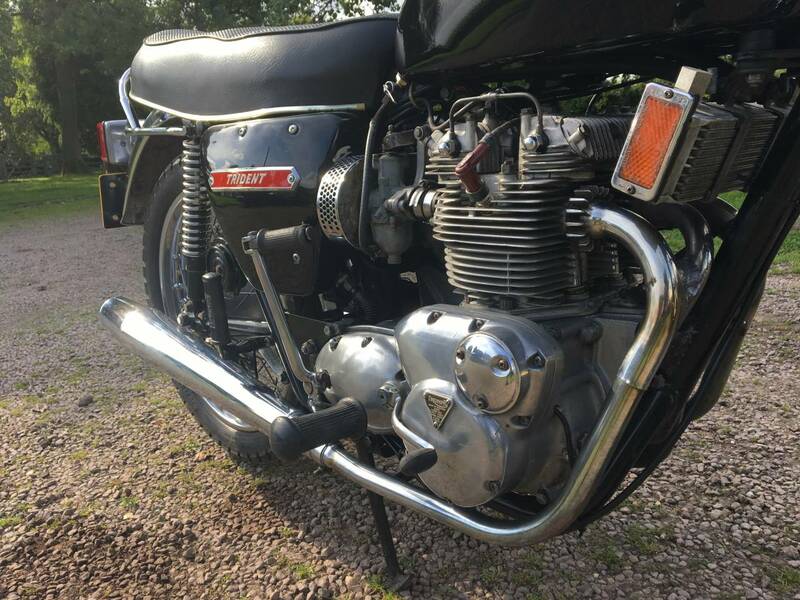 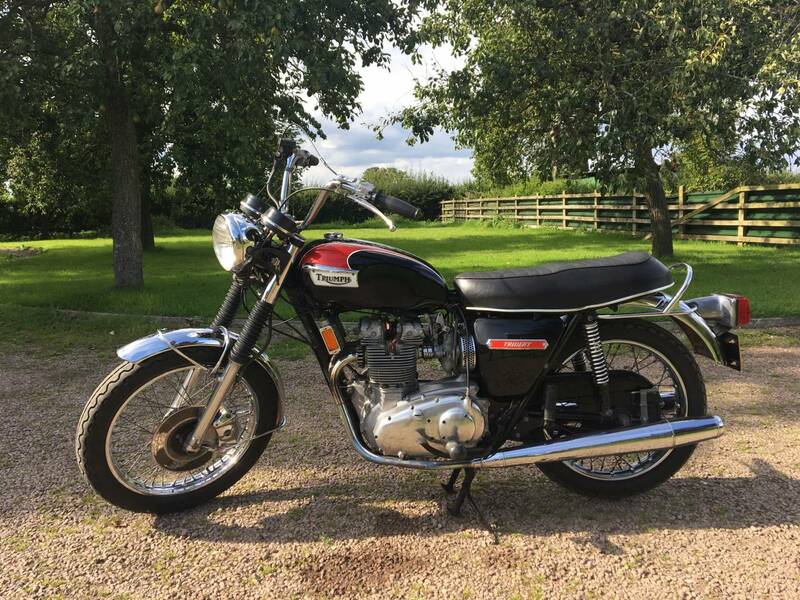 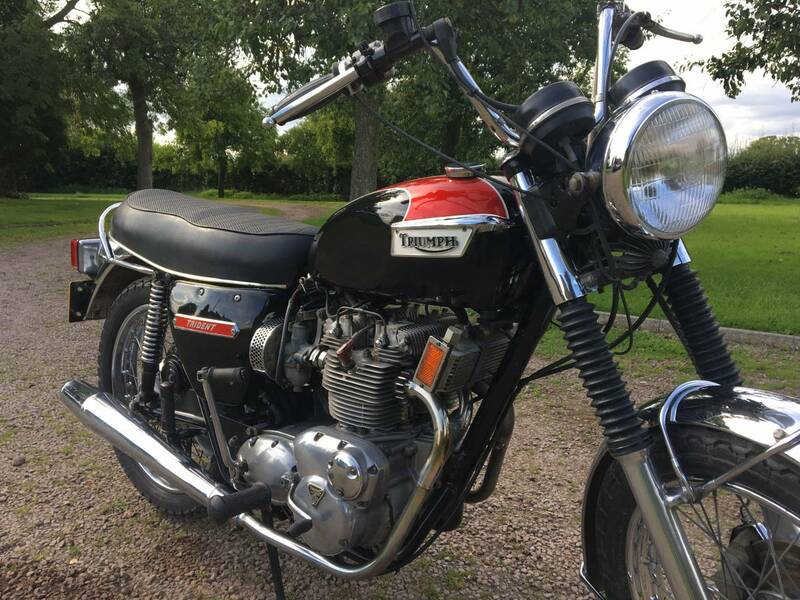 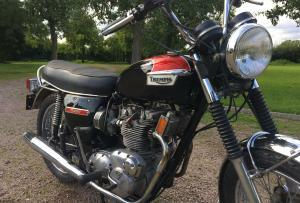 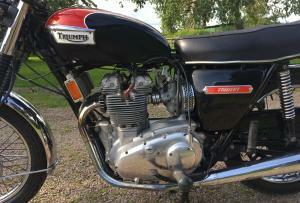 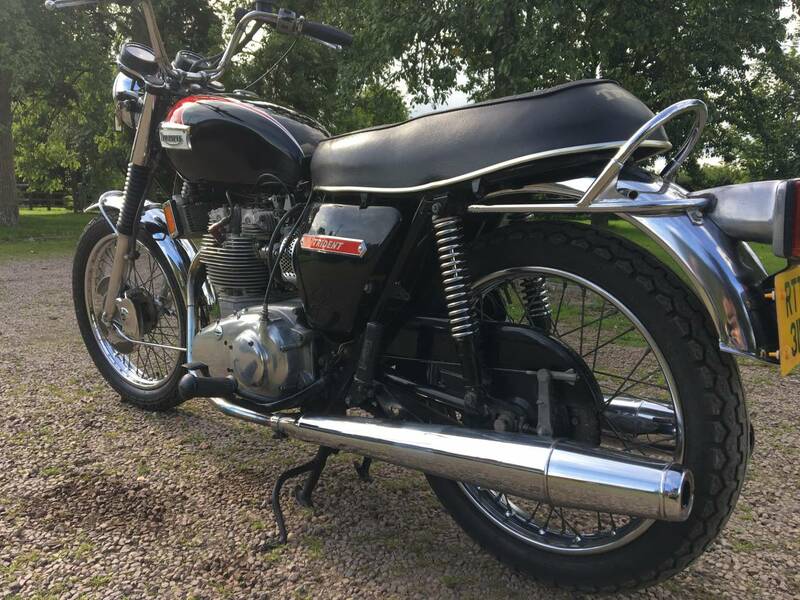 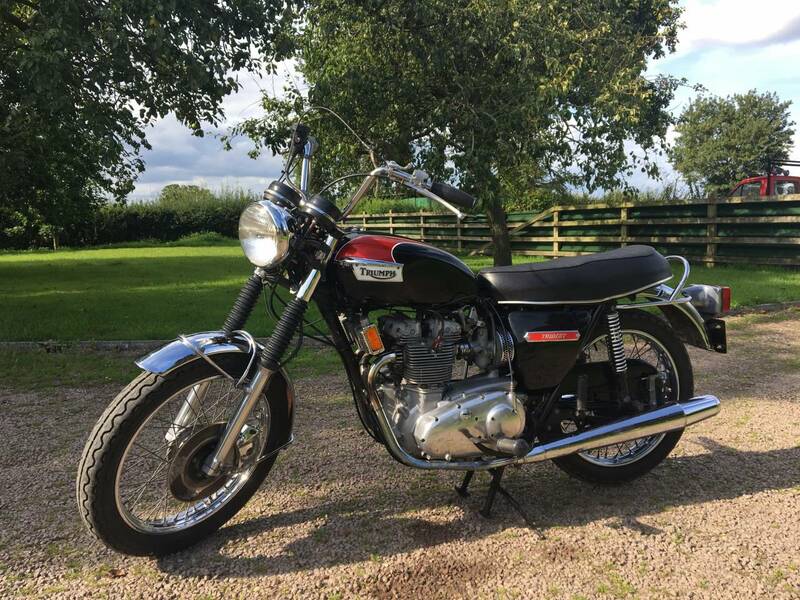 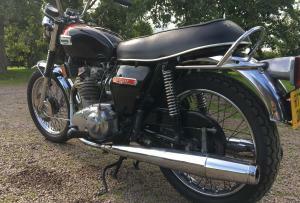 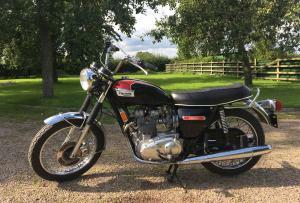 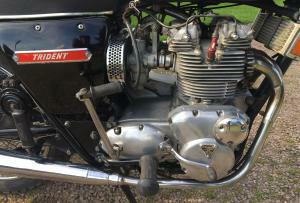 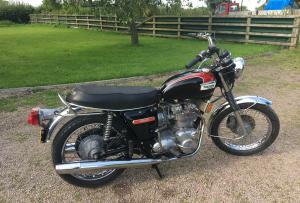 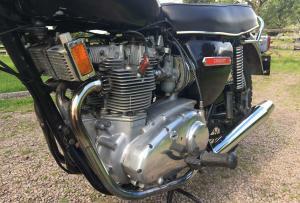 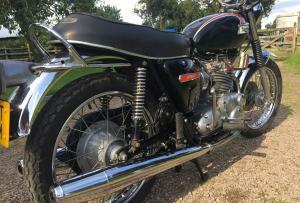 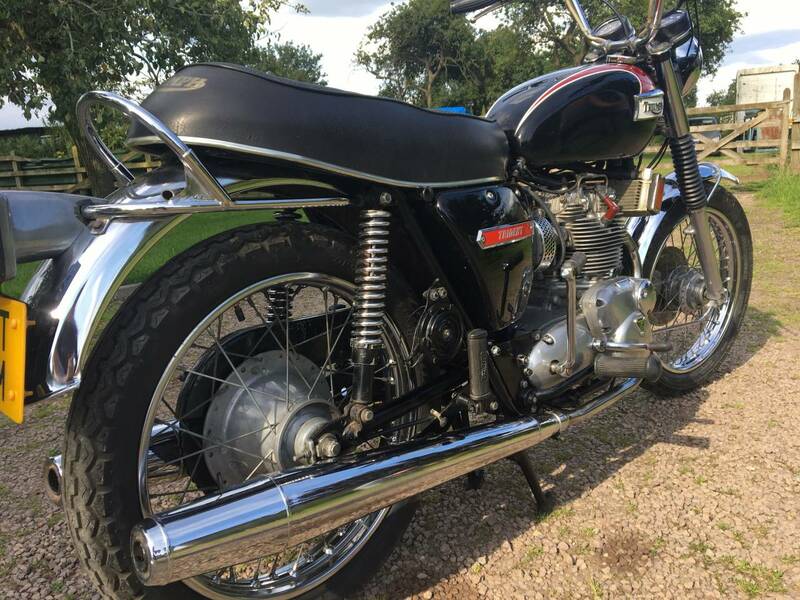 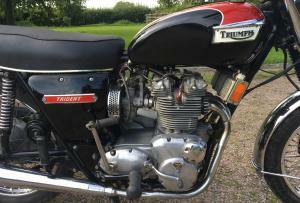 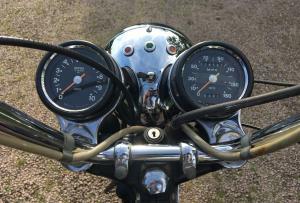 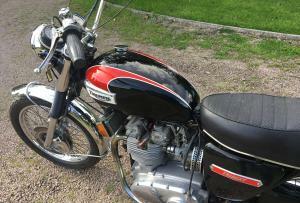 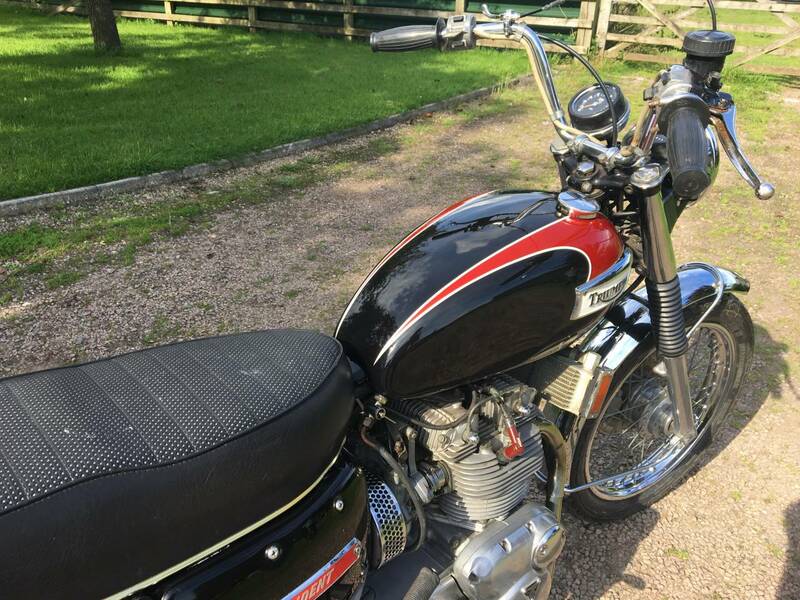 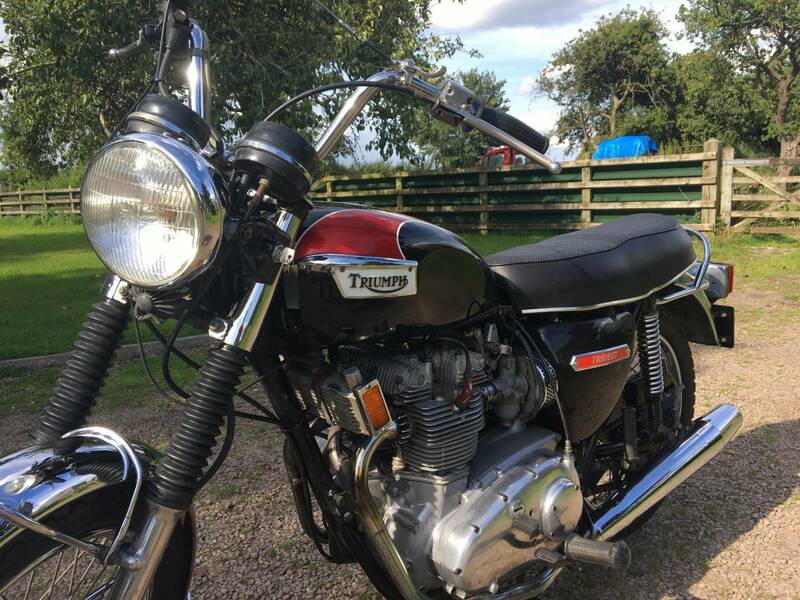 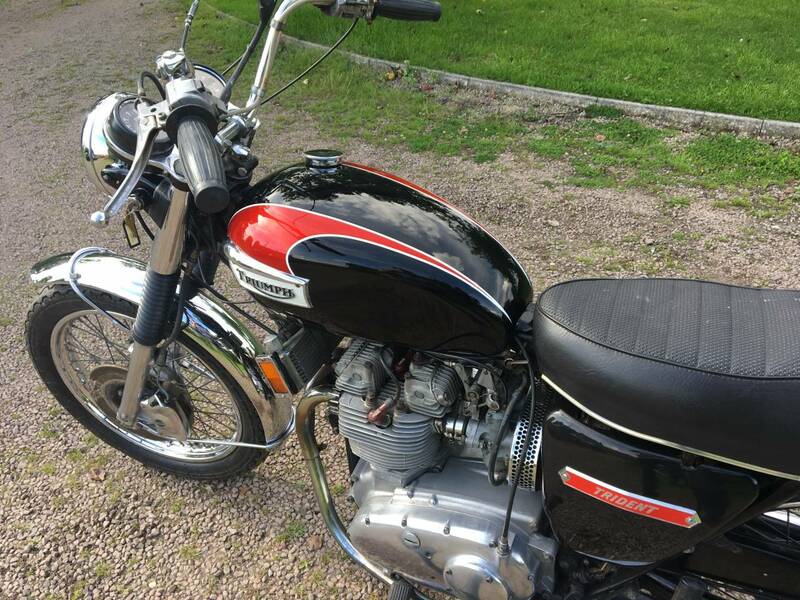 Triumph Trident 1974 T150V 5 Speed 750cc In Lovely Red And Black Colour Scheme . 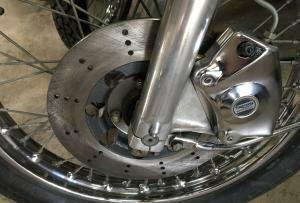 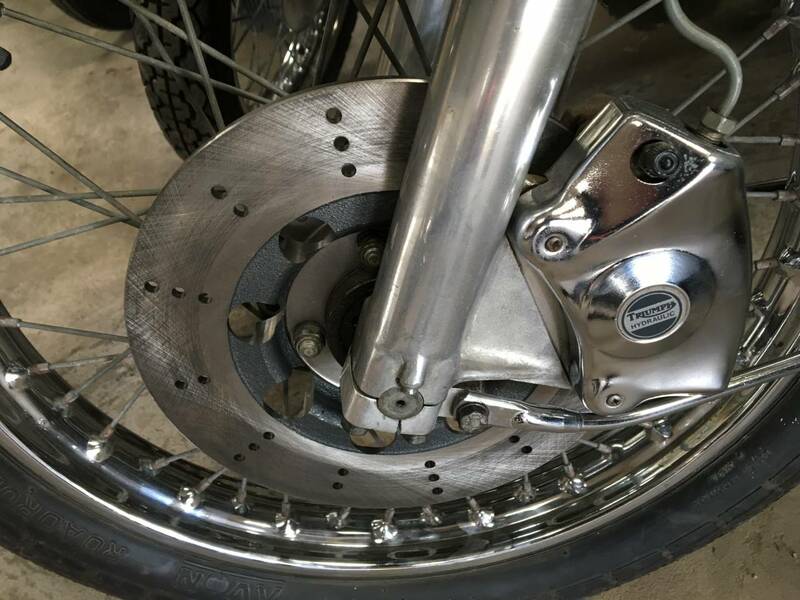 This Is The US Spec Model , With The More Attractive Rounded Tank , Higher , More Comfortable Bars And Alley Rear Light Holder And Has The More Effective Front Disc Brake . 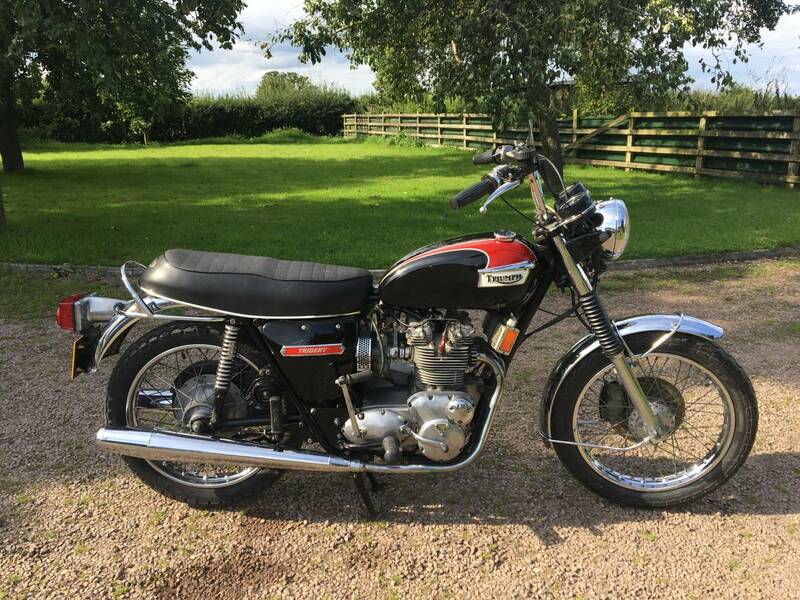 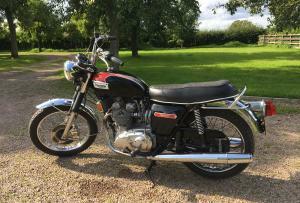 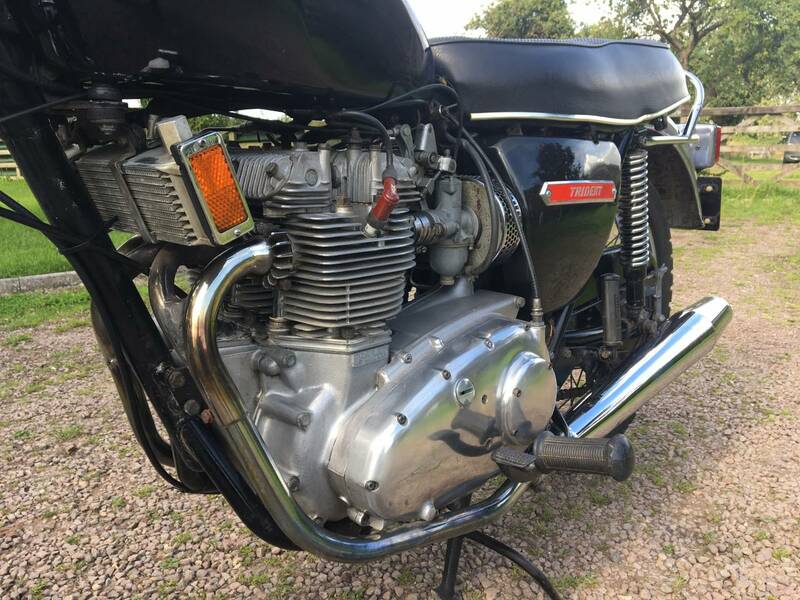 Looks To Be Very Original , With Jones And Dunlop Rims With Matching Numbers Long Term Owner , Who Bought It From A Friend , So Long Term , Low Keepers Ownership And Low Milage ( showing only 11,456 ) Starts Easily , Runs And Rides Very Well . 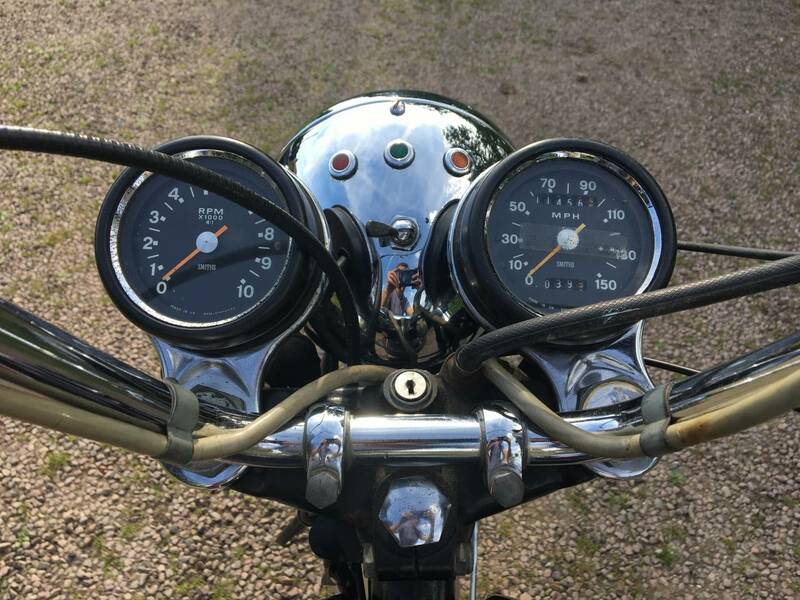 A good Investment .